The LG Optimus G wins our award for Best Android Smartphone from Sprint with a rich display, impressive speed and loads of extra features. This phone might not wow you with looks, but it will impress with speed, performance, a beautiful, quality display, and a good user experience. A blocky, angular design makes the Optimus G look less holdable than it actually is. Overall, the device is light and comfortable to hold. The display's 1280 x 768 resolution means text is crisp even when fonts are small, and HD videos look great. The 13-megapixel camera takes good outdoor shots but struggles indoors and in low or mixed light. 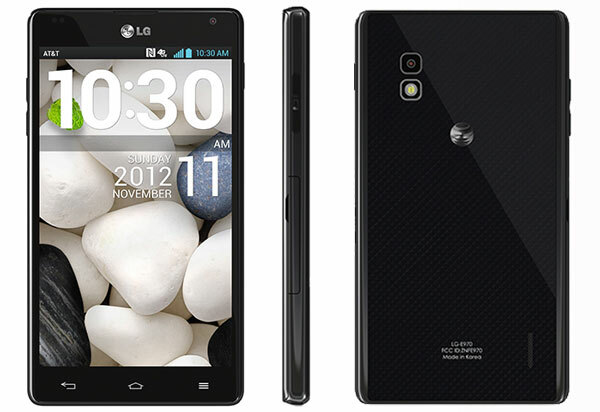 The Optimus G is filled with tweaks to the stock apps that come with all Android phones, but LG's skin is a little overloaded, as if the company went with a kitchen sink approach to features. Some of the additions make Android easier to use, while others just get in the way. But the phone is more than fast enough to handle basic Android apps and makes a good platform for high-end games. You'll have plenty of room for them with 32GB of internal storage. The battery can last all day with medium to heavy usage without any power-saving tweaks. We were a fan of the LG Optimus G when it cost $200 on contract. Now that it's free, it's a much better deal. The performance is good enough that it will still run power-hungry apps well two years down the line.